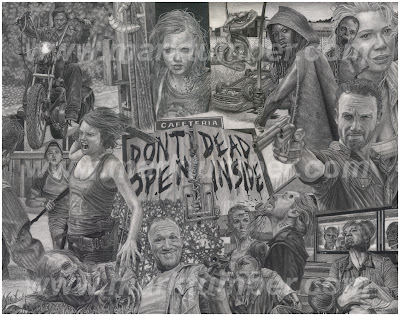 Mark Tumber, a local artist (well quite a bit north of here actually) sent along some samples of his finely detailed pencil portraiture work he has done for The Walking Dead TV series and Game of Thrones series. If you are fan of either of these shows you may want to look further into obtaining a print for yourself. Either way it is quite beautiful work. 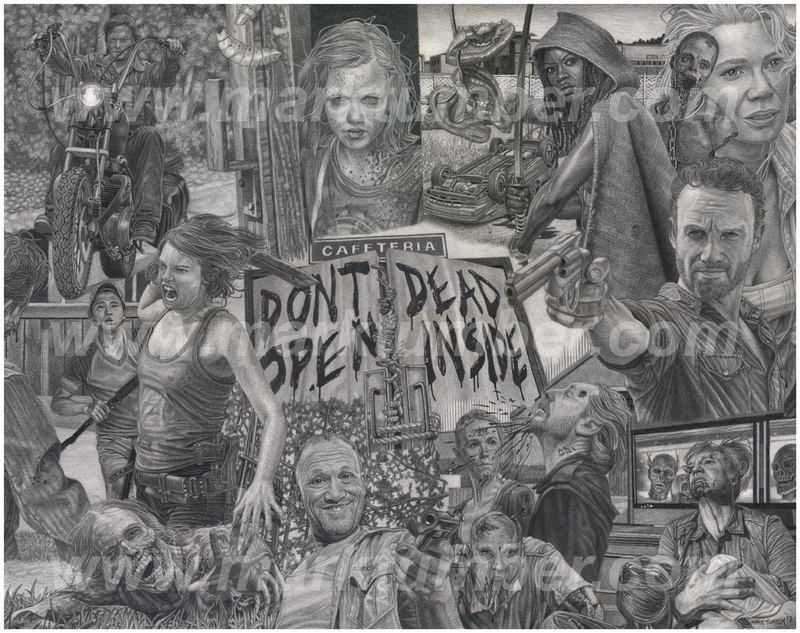 'The Walking Dead' (16"x20"), 50 limited editions for $100/ea (after HST) ... currently, #s 1-17, 20, 25, 26, 29, 30, 37, 40 & 50 have sold. .... a 16"x20" pencil portrait celebrating the series. I'm currently 70% completed, which has taken over 80 hours of actual drawing time. When finished (in 2 weeks), I'll be making 50 limited edition prints of the art. These will be hand-pulled on acid-free, hot-press watercolour stock, then numbered & signed by me. Each will be $88.50 + HST ($11.50) = $100 + shipping. Currently, #s 1-3, 5, 7, 8, 11, 13, 18, 19, 23, 25 & 38 have already been reserved for buyers. Wow! Incredible art. 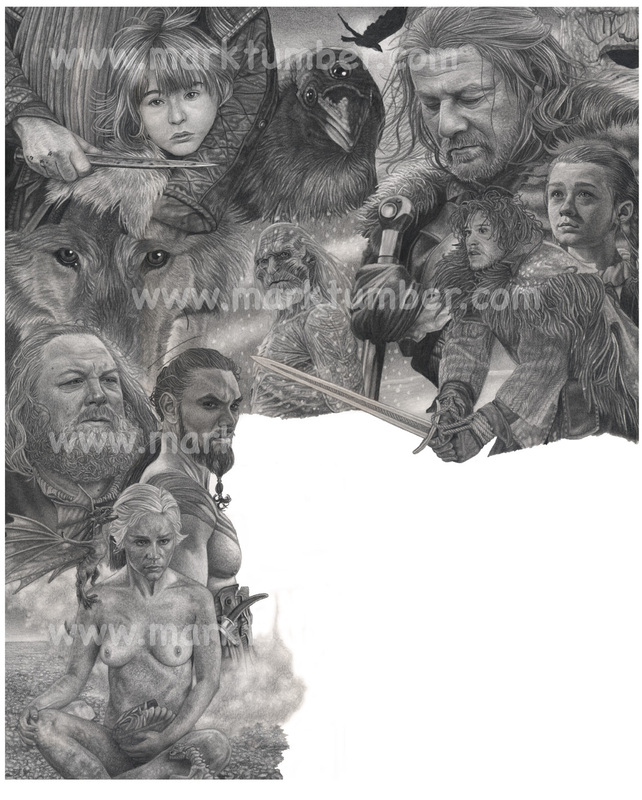 Any chance of posting the finished Thrones piece once it's done? Wonderful reading! I must say, this is amazing adventure of reading and very valuable for everyone. rea'lly delirious. Even an essay writer proved my words.